Fortnite's Halloween update adds a slew of new content to the battle royale. 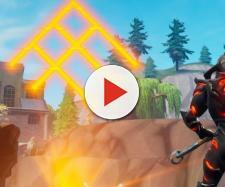 "Fortnite's" Fortnitemare update, which Epic Games teased for a week, is finally here and it decorated the whole battle royale map with a sinister look. Kevin the Cube is angrier than ever and it finally broke out of its island shell. 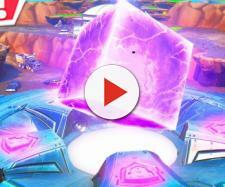 Currently, the mysterious cube is floating midair, giving out a purple streak of lighting that looks similar to the one that formed the cube last season. Pieces of the former "Loot Lake" can be found hovering around the cube as well and you can land on the pieces for picking up loot, but the house on Island is completely destroyed during the event. Aside from the Island, the cube had a great impact on the map itself and has caused monsters to appear all over the place. There's also a new set of challenges, specific to this event, and according to Gamespot, Epic Games will refresh the challenges and their rewards every few days. There's also a new outfit, called Deadfire, added to the game in this update. 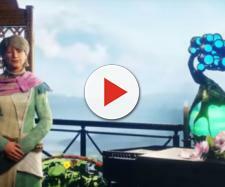 The costume will change appearance when you damage or kill the Cube Monsters or other players. Two new weapons, Fiend Hunter Crossbow and Six Shooter, have also been added to the game in this update. It should be noted that Fiend Hunter Crossbow is a limited time weapon and will be removed once Fortnitemares ends. The crossbow deals 40 damage and is four times more effective against the Cube Monsters. The Six Shooter has a faster fire rate when shot from the hip, but aiming down the sight sacrifices the fast fire rate for more precision.